Pro-Tool Kits are designed to meet the needs of professional technicians who are expanding into telecommunications and data communications. 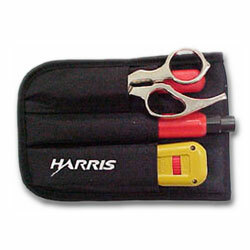 Available in three convenient styles, each kit includes a durable Anso-Tex nylon pouch. The IS30 Pro-Tool Kit features four of the most frequently required tools - the D914 Impact Tool, Can Wrench, Cable Splicing Knife, and Electrician's Snips.